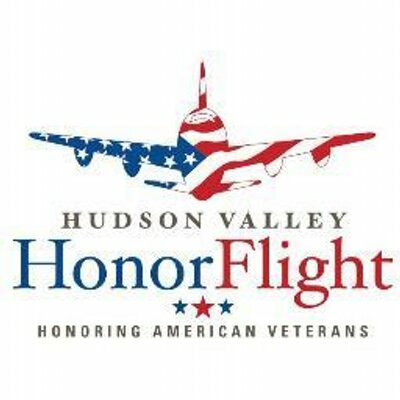 Hudson Valley Honor Flight is a chapter of the National Honor Flight Network serving right here in the Hudson Valley. We cover veterans in the following counties: Orange, Ulster, Westchester, Rockland, Putnam, Dutchess, Sullivan and Pike. Veterans from surrounding counties will be considered as well. HVHF is a non-profit created solely to honor America’s veterans for all their sacrifices. We transport our heroes to Washington, D.C. to visit and reflect at their memorials at no cost to the veterans. Honor Flight Network recognizes American veterans for their sacrifices and achievements by flying them to Washington, D.C. to see their memorials at no cost. Top priority (for which we are currently accepting applications) is given to World War II and terminally ill veterans from all wars. In the future, Honor Flight Network will be expanded to include Korean War and Vietnam War veterans. In order for Honor Flight Network to achieve this goal, guardians fly with the veterans on every flight providing assistance and helping veterans have a safe, memorable and rewarding experience. For what our veterans have sacrificed and have given to us, we consider what we do a small token of appreciation! After lining out against Clay Buchholz in the first inning, Jeter hit a high chopper to third base in his second at-bat, driving in a run with an infield single. As Jeter got to first base, Joe Girardi looked out from the dugout to see if the Captain wanted a pinch-runner, which he did, marking the official end to his brilliant career. BOSTON — Baseball fans are having a tough time letting Derek Jeter go, but the Captain says it’s time. After getting one final hit in what became his last at-bat on Sunday, the iconic Yankee said he’s ready for retirement. Jeter said he could have hit four home runs on Sunday, and nothing would have topped his finale in the Bronx, when his hit won the game. Still, his single in Sunday’s 9-5 win over the Red Sox at an adoring Fenway Park was a satisfying way to end his legendary 20-year career. For the second straight day, Jeter served as the Yankees’ designated hitter. He lined out to shortstop Jemile Weeks in the first inning, then stepped to the plate in the third with one out and a runner at third base. Jeter hit a high chopper that third baseman Garin Cecchini tried to barehand but couldn’t handle for an infield hit that drove in Ichiro Suzuki. As Jeter got to first base, Joe Girardi looked out from the dugout to see if the Captain wanted a pinch-runner, which he did, marking the official end to his two-decade run and with it the last link to a Yankee dynasty. Greg M. Cooper/USA Today Sports Derek Jeter tips his cap to the crowd at Fenway Park when he leaves the game in the third inning after an infield hit. Brian McCann jogged to run for Jeter, who embraced his teammate. Jeter stopped at the mound to share a word with Clay Buchholz, the last pitcher he would ever face, then jogged toward the dugout where his teammates were waiting for him. Jeter hugged each of his teammates while the Fenway crowd chanted his name as if he were one of its own. Jeter then tipped his hat to the crowd a couple more times before descending into the dugout one final time. There were more Yankees fans here than usual, but even the Boston fans stood and showed their respect for No. 2. Jeter finished his career with a .310 average, his 3,465 hits good for sixth place on baseball’s all-time list. Girardi had mentioned to Jeter that one more hit would tie him with Ty Cobb for the most 150-hit seasons in baseball history. Jeter wasn’t interested. Pete Rose and Tris Speaker also share the record — 18 — with Cobb, while Jeter and Hank Aaron have 17 each. The Yankees took batting practice at Jeter’s request, though instead of the usual groups of three or four hitters at a time, they all hit together, sharing the experience with their captain one last time. Jeter and his teammates had plenty of laughs as they took part in a BP game — Jeter won, of course — as Joe Torre and Brian Cashman looked on from behind the cage. It was all part of the plan. After Thursday’s emotional finale in the Bronx, Jeter came to Boston with one goal in mind: to enjoy himself. This weekend was about fun and friends, one last series to be a part of the team that has defined him his entire adult life. “You can’t top what happened Thursday,” Jeter said. “I don’t care if I came to Boston and I hit a home run every single at-bat. Several people suggested to Jeter that he sit out the final weekend the way Mariano Rivera did a year ago in Houston after his memorable Bronx goodbye, but the Captain decided to DH on Saturday and Sunday out of respect to the Red Sox, the rivalry and the fans. Jeter spent most of the season brushing aside questions about his legacy, his achievements and his place in history. Asked Sunday to describe his 20-year career, Jeter had an answer. Derek Jeter sends a chopper down the third-base line to drive in Ichiro Suzuki. Jeter’s No. 2 will hang in Monument Park soon enough, and five-plus years from now, the shortstop will join the rest of baseball’s immortals in the Hall of Fame. But Jeter, who has played for only one organization since turning pro at the age of 18, wants to be remembered for only one thing. “I’m happy being known as a Yankee,” Jeter said. “That’s the only thing I’ve ever wanted to be, was the shortstop of the New York Yankees, and I had an opportunity to do that for 20 years. Being remembered as a Yankee is good enough for me. Many current and former members of the Yankees’ organization were on hand to witness the storybook ending to Derek Jeter’s career in the Bronx, However, as New York Daily News writer Bill Madden pointed out, there were two key executives who were no-shows; Hal and Hank Steinbrenner. Hal Steinbrenner is the team’s Managing General Partner and co-chairperson, which essentially means that the Yankees are his team and he is the acting owner. 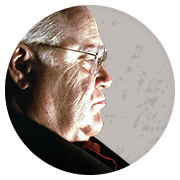 His brother, Hank, is the General Partner and a co-chairperson. Their father, the late George Steinbrenner, was the team’s owner for well over three decades and had earned himself a reputation as a perfectionist. He was very “hands-on” and extremely active in the teams day-to-day activities until he grew too ill to continue working. The fact that their father was so involved makes the fact that they didn’t show up to send off the teams beloved captain very strange. The team didn’t give a reason for the Steinbrenner’s absence. This raises questions as to whether or not there is bad blood between the team’s owners and its all-time hits leader. Another question that would have to be raised is whether or not their opinions of each other matters in this case. Whether Jeter’s comments offended the them or not, there is no excuse for the Steinbrenner’s to disconnect from their team and it’s fans, especially on a day that will be remembered for years to come. The fact that they didn’t show up could lead some to believe that they don’t have a deep passion for the team that they inherited. Even if they don’t care, they still need to attend the game and cheer for the retiring legend. Even if it’s just to make it seem like they actually do hold the team in high regard. 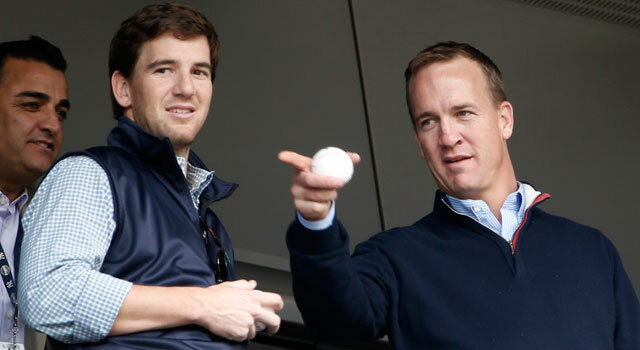 Eli (left) and Peyton Manning attended a New York Yankees game -- as guests of Derek Jeter -- back in May. 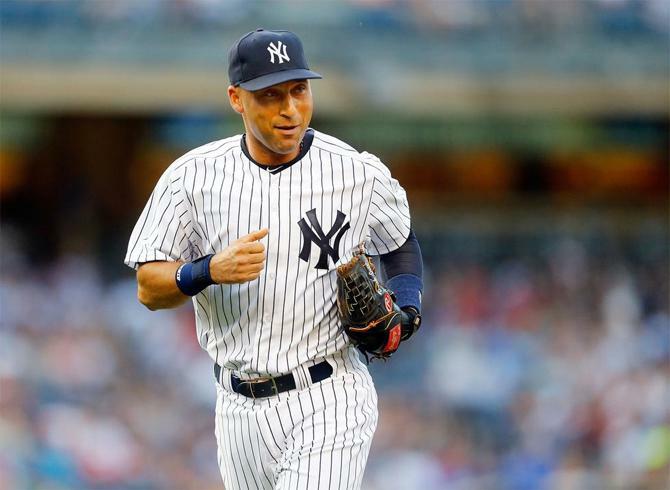 ST. PETERSBURG, Fla., and EAST RUTHERFORD, N.J. -- As Derek Jeter sits at his locker in a visiting clubhouse, he is mired in an 0-for-24 slump that will include four more hitless at-bats before it ends. The shortstop/captain's New York Yankees career, spanning two decades and including five World Series championships, will end before October. One day earlier, Eli Manning had thrown two interceptions as the New York Giants lost their second straight game to open the season, 25-14 to the Arizona Cardinals, rekindling memories of an 0-6 start last year. One online headline asked: "Is (the) curtain closing on Eli Manning's career?" When presented with this -- the general idea of Manning and his legion of doubters -- Jeter shakes his head, offers a slight chuckle. What would he say to Eli? "Don't read the papers, don't listen to it. That's the bottom line. Stay positive," Jeter says. "That's the only way you can deal with it. It's tough. It's tough to avoid it because you're constantly asked questions about it. So you know the angle, you know what's being written. But you've got to stay positive, regardless." In other years, Jeter's answer might've ended there. On this day, on the cusp of retirement, he adds: "And have fun, make the most of it. Careers don't last forever. So enjoy it as much as you can." Careers don't last forever. It only seems as if Jeter's has. If anyone understands Manning's lot lately, heavy on criticism and scrutiny, it might be Jeter. Both are former champions who've delivered when it's mattered most. They play in the world's biggest media market and in a time when what you've done in the past 15 minutes might trump what you've accomplished in the last 15 years. While Sunday's 30-17 win over the Houston Texans allowed Eli and the Giants to exhale -- significantly, the quarterback threw no interceptions -- Manning knows there is talk, no longer a whisper, that his best days are behind him. His second of two Super Bowl victories was three seasons ago but somehow seems more distant. "Between the first two (Super Bowls), there was four years," Manning says. "I know having gone through it, (it's not) easy to win championships. I understand what has to happen, how many breaks you have to get, how you have to win games, how much of a grind it is. We're going to keep working. I think that's what makes it special when you do it -- because you've earned the right to be champions." Jeter knows that better than most. "You have to realize, it's not easy," says Jeter, whose Yankees championships came in a bunch -- 1996, 1998, 1999 and 2000 -- and then after a long drought, in 2009. "At times, certain guys make things look easy. Even when it looks easy, it doesn't come easy. There's a lot of work behind (winning a championship). Hey, it's sports, but like anything in life, you're going to have good years, you're going to have bad years. "But you want to be consistent. Your personality needs to be consistent, your work ethic needs to be consistent. Everything you do needs to remain consistent. What's the saying -- tough times don't last, tough people do? 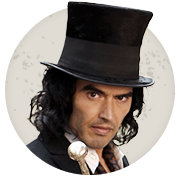 I think you can look at the history of professional athletes, and they've all had tough periods." Jeter's worst slump, 0-for-32, came in April 2004. His 0-for-28 skid this month ranks second. Particularly from a distance, it might seem as if his career has been a baseball fairy tale, all champagne celebrations and standing ovations -- in other words, nothing like what Manning is going through now. "Huh? What? C'mon, now," Jeter, 40, says playfully. "My career was 'over' five years ago." Jeter's remarkable 20-year career will end Sunday at Fenway Park. His last home game is Thursday, when he bids farewell to Yankees fans. In every ballpark in which the Yankees have played this season, he has been hailed as a departing hero, a player the likes of which might not be seen again. He leaves a legacy of No. 2's in baseball -- Troy Tulowitzki, B.J. Upton among them -- and Johnny Manziel has said he chose to wear the number because of Jeter. "I heard that when he was in college, (but) I have never met Johnny," Jeter says. "You're playing a game, and in my mind, I still think I'm young. But anytime anyone pays homage to you, it makes you feel good." It was back in 2004 when Jeter and Manning initially connected, Eli a rookie in the process of losing the first six games he started. A call came, out of the blue, to Manning's cell phone on a Saturday night before a Sunday game. It was Jeter. "He said, 'Keep grinding, keep working hard, keep your head up and things will get easier,' " Eli recalls. "It meant a lot to me at the time. I was trying to figure things out. I was trying to learn to play quarterback in New York, with the New York media and everything that goes along with being an athlete in this area. "Obviously I knew who Derek Jeter was, and he was playing great and winning championships and seemed to have everything going for him. I appreciated him just reaching out to me. Maybe (it was because he) knew what it was like as a rookie." Since then, Manning has played in Jeter's golf tournament in Tampa, Florida, benefitting his Turn 2 Foundation, and the two see each other occasionally at events in Manhattan. In May, Eli and Peyton Manning were Jeter's guests at a Yankees game. Peyton said that day he and Jeter talked retirement. "I hope I know when the right time is," Peyton said at the time. "I know that was a hard decision for Derek; I know it'll be hard for me. But I can tell he's at peace with it and he's enjoying this season." Jeter mentioned conversationally back in 2005 that he rooted for Eli because he admired the way he conducted himself. Eli has long said he has modeled his dealings with the media after what he saw from Jeter, particularly in terms of being accountable, putting team above self and not saying anything that could become a tabloid headline. Both longtime team captains, Jeter and Manning embrace the great responsibility each has within his organization. An example: In the season opener, Manning took sole blame for an interception on a pass intended for Larry Donnell, a 25-year-old tight end playing a substantial role for the first time in 2014. Donnell told NFL.com this week that he should have run a sharper route in reacting to the defense, and the fault was at least partly his. He also said he appreciated Manning taking the rap. With Jeter's departure, there is an unofficial passing of the torch, as the 33-year-old Manning becomes the most accomplished, longest-tenured athlete in New York. Manning laughs at the notion. "No," Manning says. "I think we're losing a superstar in Derek Jeter, a guy who's been so good for so long and won championships and been a class act. He's been the face of the New York Yankees. We'll miss him. You can't replace him, and that's not my job. My job is to try to win games for the Giants and learn from the things Derek's done well and the way he's conducted himself. And he'll always be a role model for me." The New York Yankees have hit the home stretch. The Yankees start a series against the Toronto Blue Jays Thursday night for the start of eight home games in eight days for the final homestand of the 2014 season. With the Baltimore Orioles having already clinched the American League East and four teams in front of New York for the second American League Wild Card spot, there is little chance for the Yankees to make the postseason. According to FanGraphs, the Yankees have a 0.2% chance of appearing in the Wild Card game. That gives a 99.8% chance these eight home games will be the last for Derek Jeter. Even with that type of certainty, the average price for New York Yankees tickets on the secondary market is not affected until the final home game on September 25. According to TiqIQ, the average price for Jeter’s final home game is currently $656.23 on the secondary market. That makes the game 501% more expensive than the next highest priced remaining game at Yankee Stadium. The get-in price of $190 for next Thursday’s game would be the second most expensive average across the other seven games. For Yankees fans not able to attend the finale, the previous seven games represent a relative steal. The most expensive average is $108.78. Of those games, the most expensive get-in price is $14 for Thursday’s game against Toronto. While the Yankee Stadium finale is still easily the most expensive game game across Major League Baseball in the regular season, the average price has dropped over the past month. The price for the game peaked at the start of September with an average price of $790.50. The get-in price has also dropped from its peak in late August when the cheapest available ticket on the secondary market was $254. Jeter’s final regular season game will not be played in the Bronx, but instead at Fenway Park in Boston. While the Red Sox sit in last place in the AL East and ticket prices have been falling for a team that spend the first half of the season with the highest secondary market average in baseball, Jeter’s final games will have a significant premium. Red Sox tickets for all three games against the Yankees starting on September 26 have an average price above $200. The most expensive average for Boston’s preceding series against Tampa Bay is $53. The regular season finale at Fenway Park has an average price of $445.88 with a get-in price of $177. The average is 87% above the next most expensive game on the previous day. While opposing teams’ fans have been lining up to pay respect to Jeter all season, fans of the Yankees’ biggest rival will be no exception. While many Yankees fans would have rather sent their captain out with one final World Series championship, a big farewell in the Bronx and a season ending series against the Red Sox might be the next best thing. 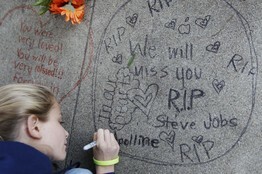 Apolline Arnaud, 12, wrote a message in front of Steve Jobs's home in Palo Alto, Calif., after word of his death Wednesday. 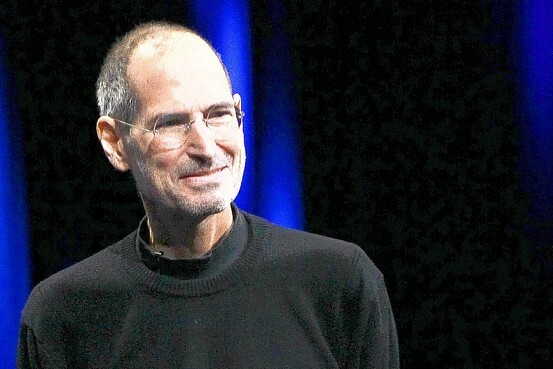 After losing considerable weight in mid-2008, Mr. Jobs took a nearly six-month medical leave of absence in 2009, during which he received a liver transplant. He took another medical leave of absence in mid-January, without explanation, before stepping down as CEO. Mr. Jobs turned Apple into the largest retailer of music and helped popularize computer-animated films as the financier and CEO of Pixar Animation Studios, which he later sold to Walt Disney Co. He was a key figure in changing the way people used the Internet and how they listened to music, watched TV shows and movies, and read books, disrupting industries in the process. "Despite all he accomplished, it feels like he was just getting started," Disney CEO Robert Iger said in a statement Wednesday. Mr. Jobs pulled off a remarkable business comeback, returning to Apple after an 11-year absence during which he was largely written off as a has-been. He went on to revive the struggling company by introducing products such as the iMac all-in-one computer, iPod music player and iTunes digital-music store. Apple now produces $65.2 billion a year in revenue compared with $7.1 billion in its business year ended September 1997. 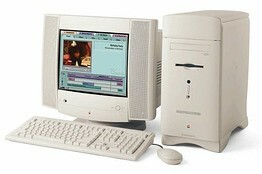 Apple dropped the "computer" in its name in January 2007 to underscore its expansion beyond PCs. Although Mr. Jobs officially handed over the reins of the company to Mr. Cook, his death nevertheless raises a question for Apple of how it will sustain its success without his vision and guidance. Other companies, including Walt Disney, Wal-Mart Stores Inc. and International Business Machines Corp., experienced some transitional woes before eventually managing to thrive after their charismatic founders passed on. Among Steve Jobs's legacy was a gift for presentation and speech-making that changed the way tech companies unveiled new products, Lauren Goode reports on a special edition of the News Hub. Photo: Getty Images. But few companies of that stature have shown such an acute dependence on their founder, or have lost the founder at the peak of his career. Several years after Mr. Jobs was fired from Apple in 1985, the company began a steady decline that saw it drift to the margins of the computer industry. That slide was reversed only after Mr. Jobs returned in 1997. Mr. Jobs also leaves behind many tales about his mercurial management style, such as his habit of calling employees or their ideas "dumb" when he didn't like something. He was even more combative against foes like Microsoft, Google Inc., and Amazon.com Inc. When Adobe Systems Inc. waged a campaign against Apple for not supporting Adobe's Flash video format on its iPhones and iPads in April 2010, Mr. Jobs wrote a 1,600-word essay about why the software was outdated and inadequate for mobile devices. He maintained uncompromising standards for the company's hardware and software, demanding "insanely great" aesthetics and ease of use from the moment a shopper walked into one of Apple's stores. His attention to detail shaped some of the distinctive features of Apple's products. 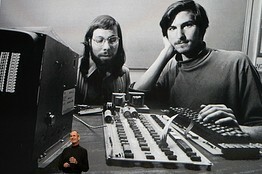 Mr. Jobs enforced strict secrecy among employees, a strategy that he believed heightened anticipation for new products. News of his death came a day after Apple unveiled its newest device, the iPhone 4S, without him on stage. Steve Jobs is shown above at an Apple conference in June, one of his final public appearances as CEO. 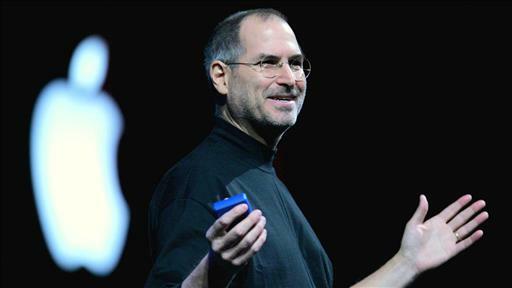 What Was Steve Jobs's Most Influential Product? Mr. Jobs, the adopted son of a family in California, was born on Feb. 24, 1955. A college dropout, he established his reputation early on as a tech innovator when, at 21 years old, he and friend Steve Wozniak founded Apple Computer Inc. in the Jobs family garage in 1976. Mr. Jobs chose the name, in part, because he was a Beatles fan and admired the group's Apple records label, according to the book "Apple: The Inside Story of Intrigue, Egomania, and Business Blunders" by Wall Street Journal reporter Jim Carlton. The pair came out with the Apple II in 1977, a computer that was relatively affordable and designed for the mass market rather than for hobbyists. It went on to become one of the first commercially successful PCs, making the company $117 million in annual sales by the time of Apple's initial public offering in 1980. The IPO instantly made Mr. Jobs a multimillionaire. Not all of Mr. Jobs's early ideas paid off. The Apple III and Lisa computers that debuted in 1980 and 1983 were flops. But the distinctive all-in-one Macintosh—foreshadowed in a TV ad inspired by George Orwell's novel "1984" that famously only aired once—would set the standard for the design of modern computer operating systems. Even then, Mr. Jobs was a stickler for design details. Bruce Tognazzini, a former user-interface expert at Apple who joined the company in 1978, once said that Mr. Jobs was adamant that the keyboard not include "up," "down," "right," and "left" keys that allow users to move the cursor around their computer screens. Mr. Jobs's pursuit of aesthetics sometimes bordered on the extreme. George Crow, an Apple engineer in the 1980s and again from 1998 to 2005, recalls how Mr. Jobs wanted to make even the inside of computers attractive. On the original Macintosh PC, Mr. Crow says Mr. Jobs wanted the internal wiring to be in the colors of Apple's early rainbow logo. Mr. Crow says he persuaded Mr. Jobs it was an unnecessary expense. Even in his appearance, Mr. Jobs seemed to cultivate an image more like that of an artist than a corporate executive. In public, he rarely deviated from an outfit consisting of Levi's jeans, a black mock turtleneck and New Balance running shoes. As Apple expanded, Mr. Jobs decided to bring in a more experienced manager to lead the company. He recruited John Sculley from PepsiCo Inc. to be Apple CEO in 1983, overcoming Mr. Sculley's initial reluctance by asking the executive if he just wanted to sell "sugar water to kids" or help change the world. After Apple fell into a subsequent slump, a leadership struggle led to a board decision to back Mr. Sculley and fire Mr. Jobs two years later at the age of 30. "What can I say—I hired the wrong guy," Mr. Jobs brooded in a PBS documentary. "He destroyed everything I had spent 10 years working for." 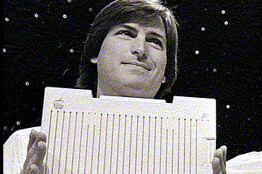 Mr. Jobs then created NeXT Inc., a start-up that in 1988 introduced a black desktop computer with advanced software. The machine suffered from a high price and some key design decisions. But its operating system would eventually become a foundation for OS X, the software backbone of today's Macs, after Apple purchased NeXT for $400 million in December 1996. In 1986, using part of his fortune from Apple, Mr. Jobs paid filmmaker George Lucas $10 million to acquire the computer-graphics division of Lucasfilm Ltd. The company Mr. Jobs formed from that purchase, Pixar Animation Studios, went on to create a string of computer-animated film hits, such as "Toy Story." Mr. Jobs sold Pixar to Disney in 2006 in a $7.4 billion deal. In Mr. Jobs's absence, Apple began foundering, and computers using Intel chips and Microsoft software became increasingly dominant. By 1997, Apple had racked up nearly $2 billion in losses in two years, its shares were at record lows and it was on its third CEO—Gil Amelio—in four years. Eight months after the deal to buy NeXT in December 1996, Mr. Amelio was ousted and Mr. Jobs appointed interim CEO, a title that became permanent in January 2000. One former Apple employee recalls Mr. Jobs joking soon after he returned that "the lunatics have taken over the asylum and we can do anything we want." Mr. Jobs, who was given a salary of $1 a year along with options to Apple stock, made a series of changes. He killed the struggling Newton handheld computer and trimmed a confusing array of Mac models to a handful of systems focused on the consumer market. In May 1998, he introduced the iMac, an unusual one-piece computer that sported a colorful translucent case. Apple launched an ad campaign featuring the phrase "Think Different," featuring photographs of creative individuals including Albert Einstein and Muppets creator Jim Henson. While shareholders cheered the changes, Mr. Jobs flexed his power on Apple's Cupertino, Calif., campus. 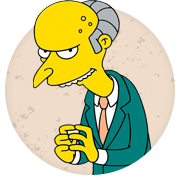 Within months of taking over, he replaced four of the five top executives with former NeXT underlings. He issued emails forbidding employees to bring pets to the office or to smoke, even in parking lots. He threatened to fire anyone caught leaking company documents. Apple had stumbles during Mr. Jobs's second stint, including a cube-shaped Macintosh that failed to catch on and was scrapped in 2001. The failure was one reason Apple posted a quarterly loss and warned it would miss estimates several times in 2000 and 2001. But big hits followed. In 2001, Apple introduced the iPod, which transformed digital music players. Apple has more than 70% market share in the market. A key advantage was the iTunes Music Store, opened in 2003. Mr. Jobs helped persuade major record labels to sell recordings for 99 cents each. The store, which has sold more than 16 billion songs, became an incentive for people to buy iPods because, for much of its history, songs from the iTunes store could be downloaded only to Apple's music player. At the same time, Mr. Jobs was building his bench of executives. He recruited Mr. Cook, a former Compaq Computer Corp. executive, in the late 1990s to straighten Apple's operations and promoted him over time to chief operating officer. 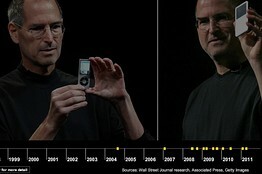 In June 2007, Mr. Jobs made another splash when Apple introduced the iPhone. Mr. Jobs was typically hands-on in the creation of the iPhone. People familiar with the matter say the former CEO was the one who made a decision to change the screen of the iPhone from plastic to glass after he unveiled the product at the Macworld trade show in 2007. The iPhone team scrambled to procure glass that would meet his standards, so the devices could be manufactured in time for the launch. Despite skepticism about Apple's ability to enter an already competitive market dominated by the likes of Research in Motion Ltd.'s BlackBerry devices, Apple became a force in the mobile phone market, selling 92 million iPhones as of December 2010. 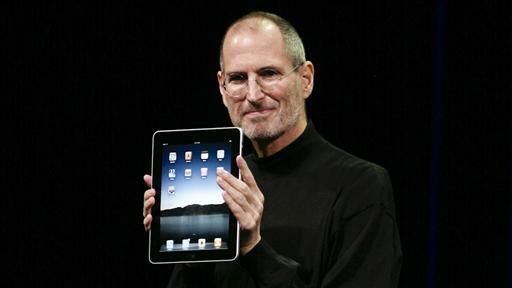 Last year, Mr. Jobs also unveiled the iPad tablet computer to great fanfare. Apple has sold more than 29 million iPads as buyers snapped them up. People who work closely with Mr. Jobs said the project was so important to him that he was deeply involved in its planning even while recovering from his 2009 liver transplant. Those who knew Mr. Jobs say one reason why he was able to keep innovating was because he didn't dwell on past accomplishments and demanded that employees do the same. Hitoshi Hokamura, a former Apple employee, recalls how an old Apple I that was displayed by the company cafeteria quietly disappeared after Mr. Jobs returned in the late 1990s. "Remembering that you are going to die is the best way I know to avoid the trap of thinking you have something to lose," Mr. Jobs said in a commencement speech at Stanford University in June 2005, almost a year after he was diagnosed with cancer. —Pui-Wing Tam, Don Clark and Jim Carlton contributed to this article. Two giant pumps normally used for concrete in construction projects will soon be used to help cool nuclear reactors in Japan. In a few days, they will be loaded onto planes originally designed to carry the Russian Space Shuttle and flown from the U.S. to Japan to be deployed at the damaged Fukushima nuclear plant. The world’s largest boom pumps are normally used to carry concrete in large construction projects. But two of these giant pumps, made by the German firm Putzmeister, will soon travel from the U.S. to Japan, for a very different purpose. "It’s going to be pumping fresh water to the cooling ponds to start," said Gary Schmidt. Putzmeister Manager Gary Schmidt says smaller pumps have already been spraying water onto the damaged reactors to keep them from overheating. But a giant pump with a 70-meter vertical reach, or 25 stories high, can spray 160,000 liters of water every hour. It can also do what the other pumps cannot. 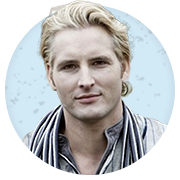 "It helps to get over any obstructions and in," he said. "So, it will reach up and back into the building." Engineering professor Ivan Catton says having a bigger pump with a longer reach will be more accurate than existing pumps at the reactors. "What you see is a fire truck with an extended nozzle spraying over the edge - you really don’t have a clue where it’s going," said Catton. "They just hope they’re getting it on top of the spent fuel pool. If they have this one, with an extended boom, you can put a video camera up there, and you could put it right where you want it..."
The crisis in Japan is not the first time Putzmeister has dealt with a nuclear disaster. 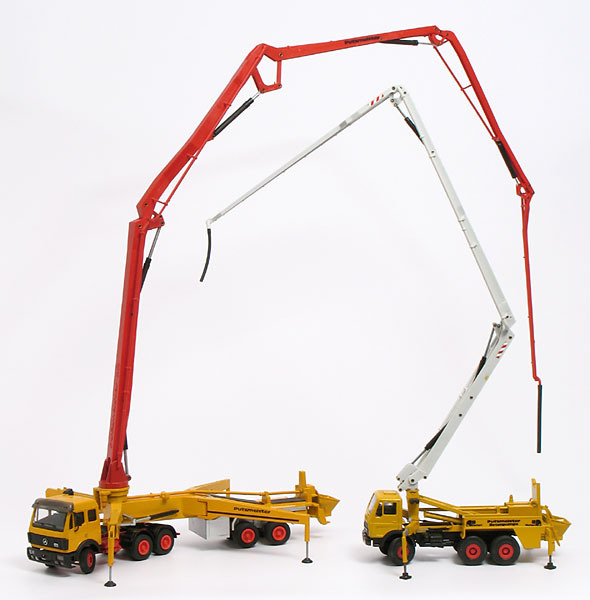 "We provided the concrete pumping equipment for Chernobyl," said Schmidt. But unlike Chernobyl in Ukraine, where the plant has been sealed in concrete, Catton says the damaged reactors in Japan can and should be studied when they are safer several years from now. "You need to dissect this beast, and figure out exactly what went on in order to avoid it in the future," he said. In the meantime, Catton says the best hope for the Fukushima nuclear disaster is to keep pouring water onto the reactors, find and repair the problems and wait for the situation to improve. You’re not imagining it: The rich do keep getting richer. Even the fictionally rich. 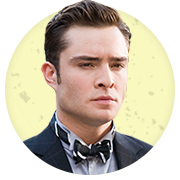 The members of our 2011 list of wealthiest fictional characters have an average net worth of $9.86 billion, up 20% from last year. 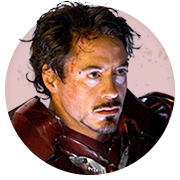 In aggregate, the Fictional 15 are worth $131.55 billion –more than the gross domestic product of New Zealand. On top of the list is Scrooge McDuck, a billionaire bird known for storing a fortune in gold coins inside a massive Duckburg “money bin.” With the price of gold up more than 30% year over year, the quacking Croesus’ net worth soared to $44.1 billion. 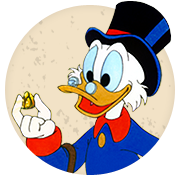 A self-made duck, “Uncle” Scrooge is well known for his penny-pinching ways: He once fought a bear over a $2 jar of honey, and still has the first dime he ever earned. 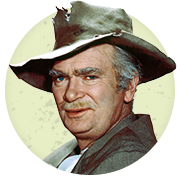 Complete Fictional 15 coverage, including full biographies and more fictional news. 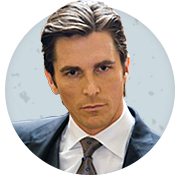 Real estate magnate Mr. 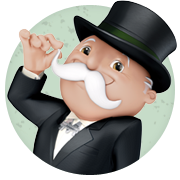 Monopoly returns to the list this year with a net worth of $2.6 billion, following his release from prison after misappropriating funds from a bank error in his favor. Implacable foes Mr. Shoe, Ms. Dog and Mr. Thimble claim Monopoly —a.k.a. Rich Uncle Pennybags— greased his release with a “Get Out of Jail Free” card. Monopoly insists it was just a lucky roll of the dice. 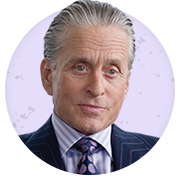 Also returning to the Fifteen: Legendary corporate raider Gordon Gekko, who famously boasted “greed is good” in 1987. One of the few investors to predict the bursting credit bubble, Gekko watched his net worth surge to $1.1 billion while Wall Street struggled. His hedge fund is now focused on shorting municipal bonds, and investing in companies that mine rare-earth elements. 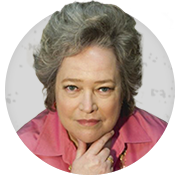 Other fictional moguls had it worse. Six members of last year’s list dropped off the rankings in 2011, including Thurston Howell III, maker of bicycle powered washing-machines, bamboo radios, and coconut-shell drinking glasses. Howell’s fortune fell more than 90% after Chinese companies moved into the “island-green” industry. Railroad titan Sir Topham Hatt lost control of the business he ran for fifty years in a boardroom coup; board members lost confidence in Hatt after he repeatedly insisted his trains could talk and drive themselves. 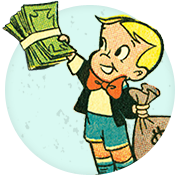 Net worth estimates are based on an analysis of the fictional character’s source material, and where possible, valued against known real-world commodity and share price movements. In the case of privately held fictional concerns, we seek to identify comparable fictional public companies. All figures are as of market close, April 1, 2011. 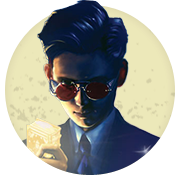 Final valuations are calculated with a grain of salt, and a willingness to break our own rules. 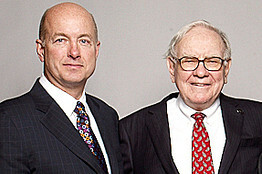 Warren Buffett has said that he sealed the name of his successor in an envelope in his Omaha, Neb., office. 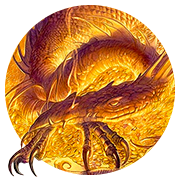 Until Wednesday afternoon, many analysts and investors in Berkshire HathawayInc. assumed that David Sokol would take over as chief executive of the dozens of companies in the Berkshire fold. The 54-year-old Mr. Sokol and Mr. Buffett have much in common. Both men live in Omaha, worked as newspaper-delivery boys and grocery-store employees. Early in his career, Mr. Buffett succeeded with a famed private investment partnership. Mr. Sokol was the chief of an energy company while he was still in his twenties. 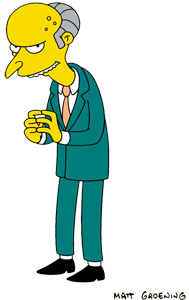 But Mr. Sokol's hard-charging personality is a contrast to the folksy popular image of his boss. Mr. Sokol, chairman of Berkshire's MidAmerican Energy Holdings Co. utility operation and CEO of jet-rental company NetJets Inc. until he resigned late Monday in a letter to Mr. Buffett, was known for coming into the office at 6 a.m. and seldom taking vacations. In a self-published 2007 book on management style, "Pleased But Not Satisfied," Mr. Sokol attributed his relentless work to a "driving fear of failure." "Early in my career, I recognized that I was not always the smartest individual in the groups that I worked in," he wrote. "I would come in earlier, stay later and do whatever I could to create a better result in whatever I was assigned to do." Mr. Sokol has said that he kept a notebook updated at least once a month with the "successes or failures" of employees, who were then ranked "in the order in which I would terminate each member if I was forced to do so one at a time." Mr. Sokol entered Mr. Buffett's world when MidAmerican shares tumbled after several geothermal projects in Indonesia were delayed amid the Asian currency crisis. Mr. Sokol began to weigh a management-led buyout, and broached through a go-between the idea of doing a deal with Berkshire. Mr. Buffett offered to purchase a 75% stake in MidAmerican, then trading for about $27 a share, for $35 a share. But Mr. Sokol and other MidAmerican managers drove a hard bargain, rejecting the offer. After several weeks, Mr. Buffett finally agreed to raise his bid by five cents a share, according to a 2010 profile of Mr. Sokol in The Wall Street Journal. Speculation that Mr. Sokol would succeed Mr. Buffett intensified after the billionaire investor put Mr. Sokol in charge of struggling NetJets. In accepting Mr. Sokol's resignation, Mr. Buffett wrote Wednesday that "Dave resurrected an operation that was destined for bankruptcy, absent Berkshire's deep pockets."